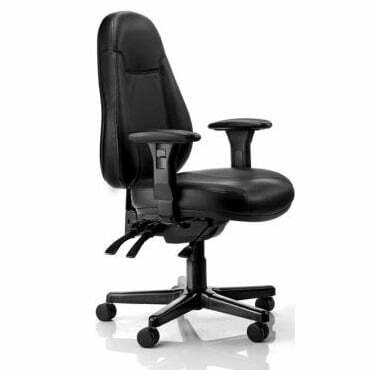 An impressive chair in any office, the Persona is extremely popular because of its superior comfort, strength and style. The metal reinforced base and heavy duty 3-lever mechanism provide outstanding durability and ergonomic function. Independently adjustable tilting seat that can be locked in any position or free floating and height and Width Adjustable arms.